Exhaust manifold sockets have a distinctive funnel shape which easily identifies them from standard sockets. 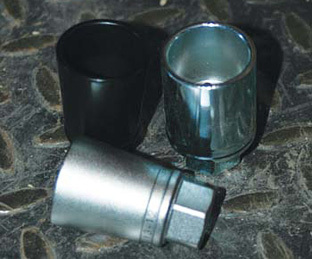 This slightly conical shape helps exhaust manifold sockets fit over the spring mounted bolts sometimes used to attach exhaust manifolds to the exhaust downpipe. Exhaust manifold sockets come in a variety of sizes to suit different applications.